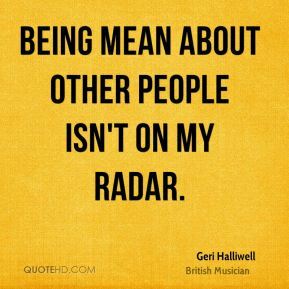 Being mean about other people isn't on my radar. 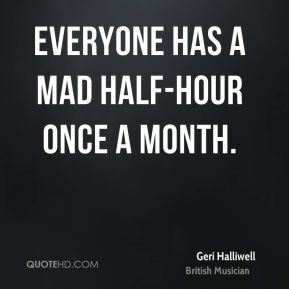 Everyone has a mad half-hour once a month. 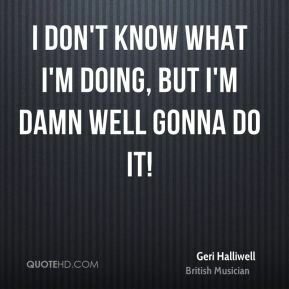 I don't know what I'm doing, but I'm damn well gonna do it! 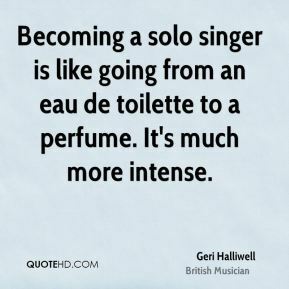 I have always wanted a solo career, deep in the darkest pit of myself, but I didn't dare admit it to myself even. 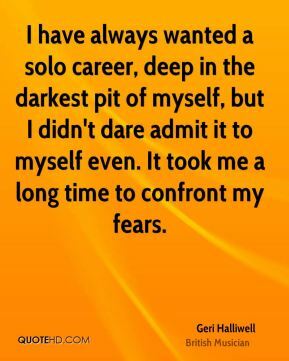 It took me a long time to confront my fears. 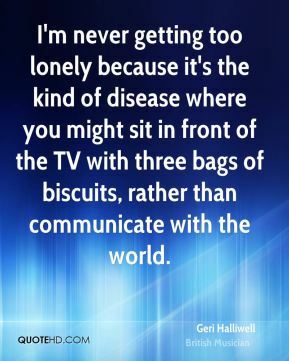 I have been wearing black, which was a reaction to the Ginger thing. 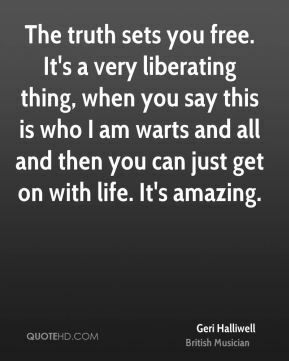 But now I have hopes and I can be anything. 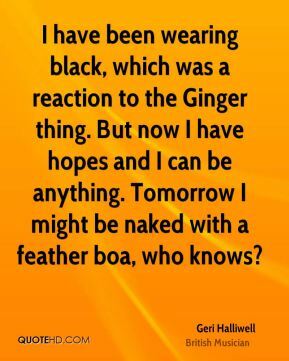 Tomorrow I might be naked with a feather boa, who knows? 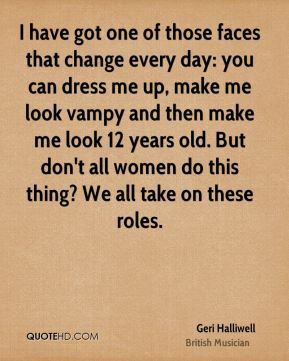 I have got one of those faces that change every day: you can dress me up, make me look vampy and then make me look 12 years old. 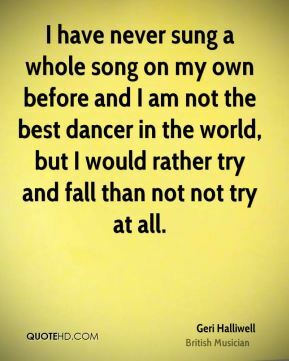 But don't all women do this thing? 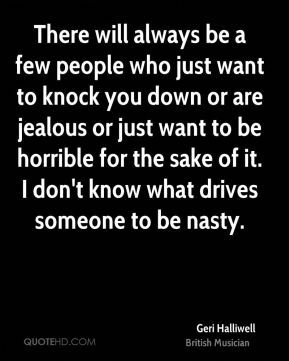 We all take on these roles. 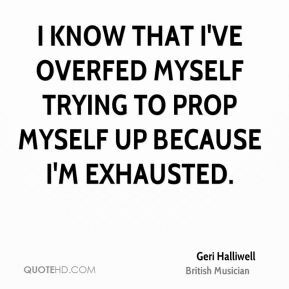 I know that I've overfed myself trying to prop myself up because I'm exhausted. 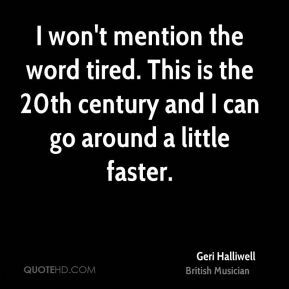 I want to communicate through my music. 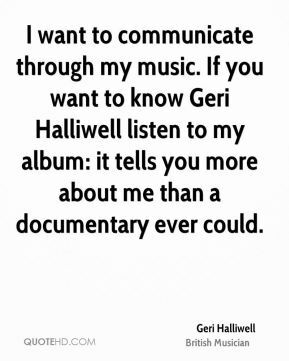 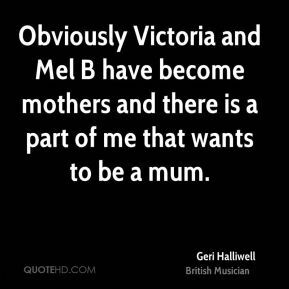 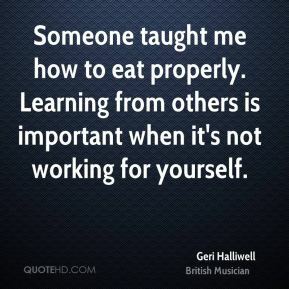 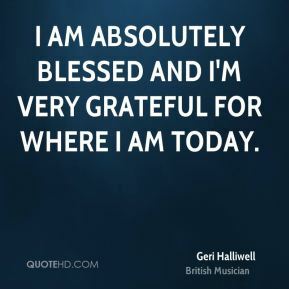 If you want to know Geri Halliwell listen to my album: it tells you more about me than a documentary ever could. 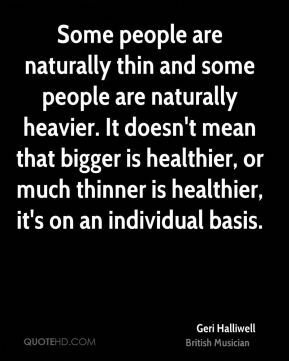 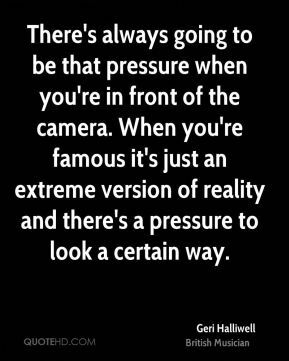 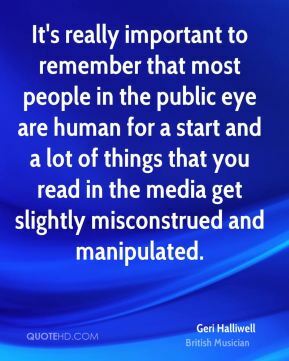 It's really important to remember that most people in the public eye are human for a start and a lot of things that you read in the media get slightly misconstrued and manipulated. 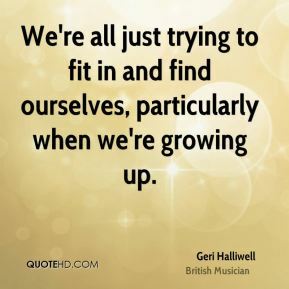 We're all just trying to fit in and find ourselves, particularly when we're growing up.